Your wisdom teeth are the final set of molars to erupt in the mouth. Depending on your age, they can come in during the teenage years or as late as the mid to late-20s. During your routine exams, we’ll take periodic X-rays (every 3-5 years) to view the inside of your jaw and see how the third molars are developing. But whether your wisdom teeth are coming in or not, it doesn’t necessarily mean that they’ll need to be removed. The location of wisdom teeth can make them more susceptible to infections, decay, and gum disease. While the straightforward solution is having them removed, waiting too long to treat your third molars can cause complications to the adjacent teeth. 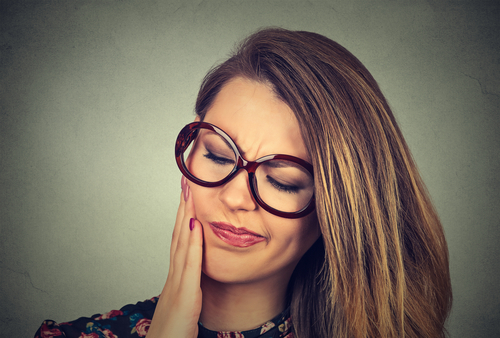 Over time, the pressure from impacted wisdom teeth can cause other teeth to move and crowd together, not to mention cavities or bone loss around the molar next to it. If we suspect that your wisdom teeth are only going to erupt partially (due to lack of space) or start to develop an infection, we’ll recommend removing them before complications start to become a problem. This can help you to avoid unnecessary dental issues with your overall smile, and reduce your risk of pain or swelling later on. At Wyndham Dental, we’ve been providing comprehensive family dentistry for over 30 years. Wyndham families have entrusted us with their smiles and wisdom tooth screenings from one generation to the next. Call our office today to schedule an exam!